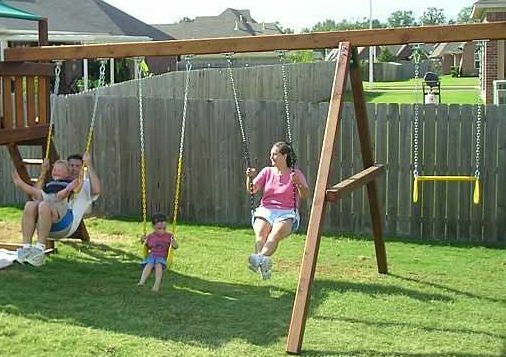 Want to add swings to your wooden playset/fort? We have the perfect kit for you to do so. There isn't a stronger A-Frame bracket. This patented A-Frame bracket is the strongest in the industry tested to 20,000lbs! Swing Beam Add On Kit contains everything for adding a swing beam except the wood, hangers, and swings. 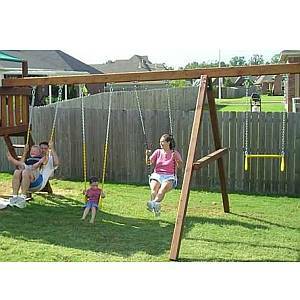 Use this A-Frame Swing Beam kit to add 2, 3 or even 4 swing positions. It is also perfect to use as a Tire Swing Beam.